I have been waiting ALL YEAR for The Anderson's Sunflowers to be back!! This is my most requested session location of the year and I am SO excited that everything is on track with the sunflower farm to open in early July! 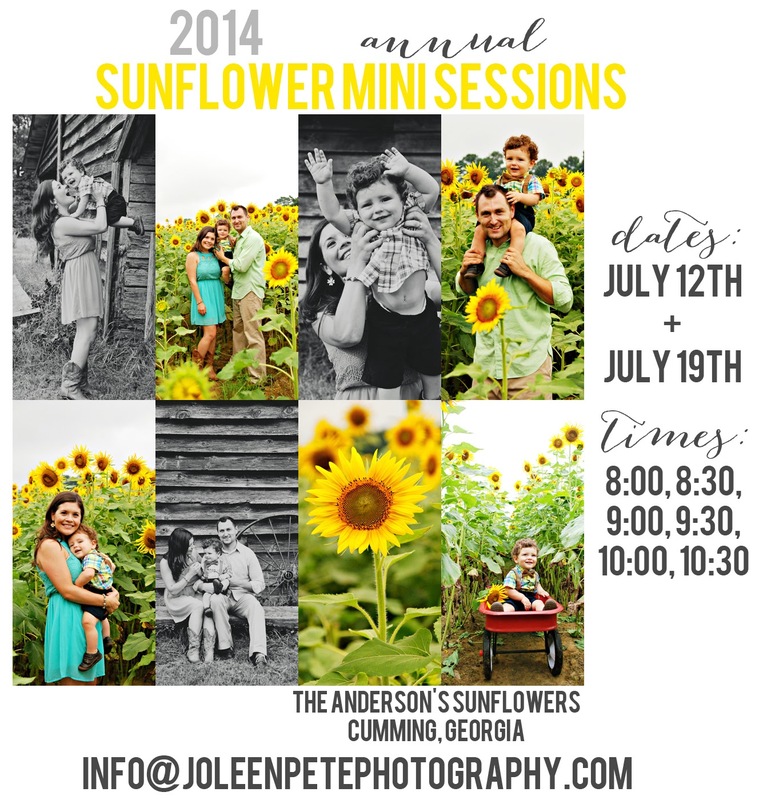 Here are the dates and times for the Sunflower Mini Sessions. Sessions will be reserved on a first come, first serve basis. The $125 session fee is due upon scheduling via PayPal. There is also a $35 cash fee due to the farm the day of your session, which will include parking. Sessions are 25 minutes long and include all professionally processed digital images. Please email me with your top 2-3 time slot choices and your PayPal email.